To make an uncontroversial statement, losing stinks. Whether it’s not getting the job you worked so hard to land, not getting a good grade on that term paper you poured your heart into, or failing to land that new client after weeks of strategizing, you’re bound to feel at least a little crushed anytime you don’t hit your target. 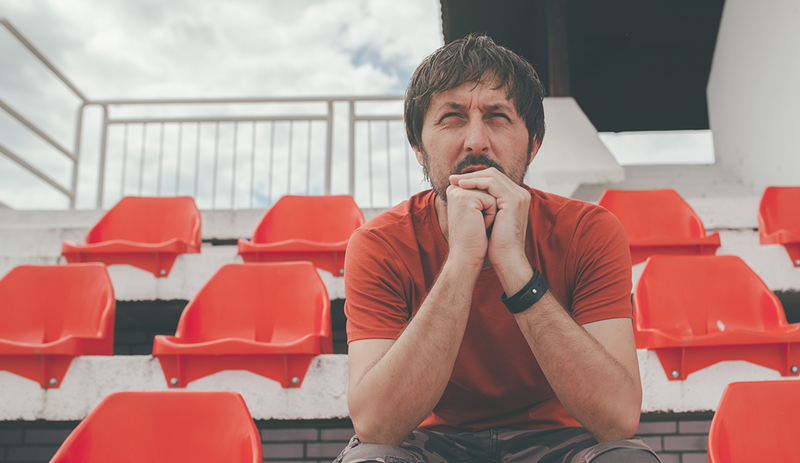 Sam Weinman, the sports journalist behind Win at Losing: How Our Biggest Setbacks Can Lead to Our Greatest Gains, understands that losing doesn’t feel great – but he also thinks failure can be inspiring if we know how to approach it the right way. 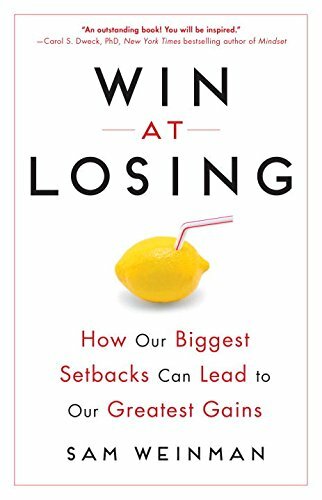 And that, in a nutshell, is the reason why Weinman wrote Win at Losing: To show people that learning to lose is just as important as – if not more important than – learning to win. The idea for the book was sparked when Weinman noticed that his two sons, whom he describes as “super competitive athletes,” had trouble coping with losses. Win at Losing is out today from TarcherPerigree. Last month, we had the chance to chat with Weinman about his book and the powerful ideas behind it. What follows is a transcript of that interview, minimally edited for style and clarity. Recruiter.com: One of the major themes in this book is the fear of failure. How common do you think that fear is? Sam Weinman: I think it’s a pervasive, societal thing. I think losing has a real negative connotation, and I think people tend to look at these setbacks as commentaries on their worth as a person. So, if you’re a tennis player and you lose a tennis match, or you lose your job, or you lose out on a big account at work, these are commentaries on your value to society. One of the thrusts of the book is that life is an ongoing process, and these setbacks are often the moments that serve as catalysts for great opportunities. RC: You argue that losing has a lot of benefits – though some people might not agree. Can you name a few of those benefits for our skeptical readers? One is, when you lose, it draws attention to a specific flaw that needs correcting. When you’re successful all the time, you might graze over things that need the most work. So let’s say you have a job interview, and you get the job, but you actually have terrible interview skills in terms of making eye contact or speaking clearly and succinctly. If you’re successful, you won’t have a reason to work on that, but if you don’t get the job, it forces you to address those mistakes. I also feel losing builds resilience. When you endure a setback of some sort, it forces you to draw on a part of yourself that you might not otherwise know was there, like an ability to move on and learn and grow. Those are empowering opportunities to prove to yourself that you can handle setbacks. And, finally, losing is everywhere you go. You have to develop coping skills; you have to have a backup plan. When you lose, you say, “Oh, my first plan, I thought it was so perfectly constructed, but it blew up in my face.” So once you go through that for the first time, it forces you to approach problems from multiple angles and have a backup plan in place. RC: In the book, you use stories about people who have dealt with failure to illustrate your points. The people in these stories come from all over – they’re athletes, politicians, businesspeople. Can you talk a little more about the process behind selecting these particular stories? Why did you draw from so many worlds? SW: I’m an editor at Golf Digest, so I was initially drawn to people in sports. That’s kind of my world, so it was a combination of people whose stories just resonated with me personally. But I also wanted to show as much variety as possible in terms of the different types of setbacks that people experience. There’s the classic “losing the championship” story, and there’s also the “end of the career” story and the “end of the dream” story. I wanted to find people who represented these various different losing scenarios and, quite frankly, embraced them – people whose stories, to me, showed the various ways you can deal with losing in a positive way. RC: All the stories are important to you – they made it into the book, after all – but are there any in particular that really resonate with you? Any that you really enjoy and hope people pay special attention to? SW: Definitely. There’s the story of Dan Jansen, the speed skater, which is pretty amazing if you don’t know it, in terms of how he dealt with this public humiliation of falling in the Olympics and how he had to persist. And he didn’t just have to wait until next year – he had to wait four years! And after four years, he fell again in the next Olympics! That level of persistence, and the way he was able to grow from the process, was remarkable. There’s a big part of the book about framing and how you look at things, and Jansen was able to do that. Everyone looked at his Olympic career as a huge disappointment, but the reason he turned the corner was because he framed it differently for himself. That’s a great lesson for everyone: “What you see as a failure, I see as a great experience I will be able to draw on. It made me a better person.” And this is before he went on to win a gold medal! The other story I like is the one about the members of the Columbia University football team, this group of guys who played from freshman year to senior year, and they never won a single game. That’s interesting because none of them wanted play pro football, but because of that experience, it actually made them really prepared for success later on in business and in their personal lives. They learned how to withstand a lot of adversity in various ways.